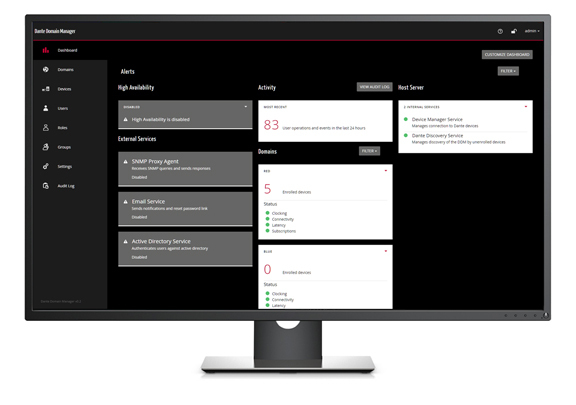 Audinate has introduced an update to Dante Domain Manager. The new version provides advances in diagnostics and usability, extended auto discovery for legacy (pre-v4.0) devices, and increased support for larger networks. Updates include: optional expansion packs to support up to 1,050 devices per instance of Dante Domain Manager; a Network Diagnostics Report offering instant visibility of basic network configuration via connectivity, DHCP, DNS and Internet reachability tests; and editable domain names.